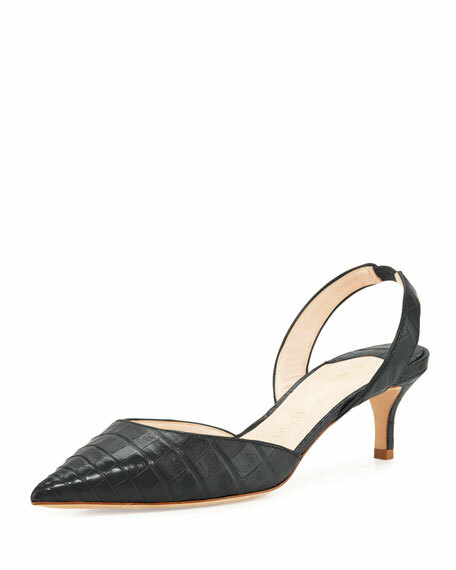 Nancy Gonzalez shiny crocodile pump. "Majita" is made in Italy. 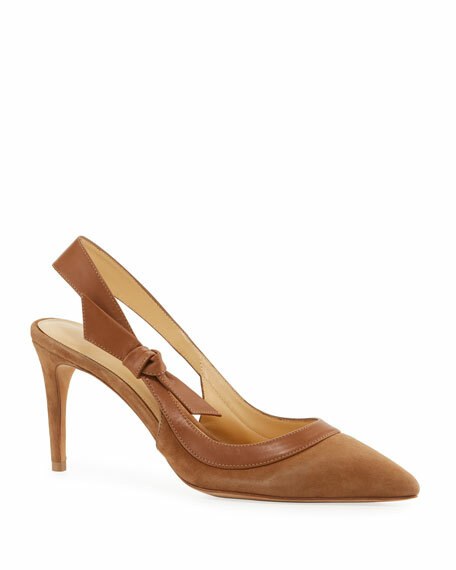 Alexandre Birman suede pumps with calf leather trim. 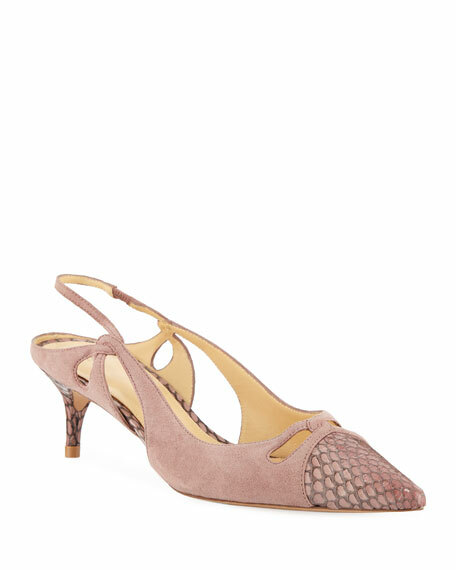 2" covered kitten heel. Pointed toe. 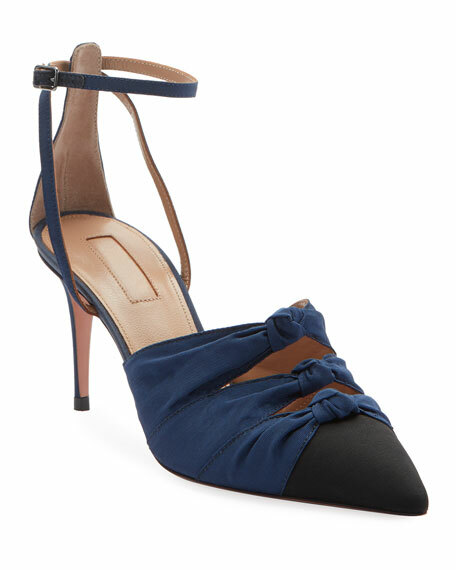 Slingback strap with knotted bow. Slip-on style. Leather lining and sole. Made in Brazil.